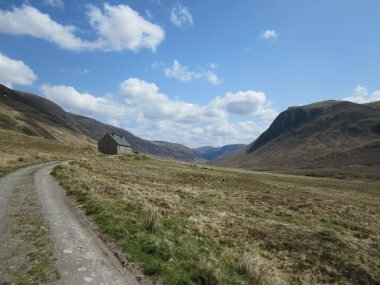 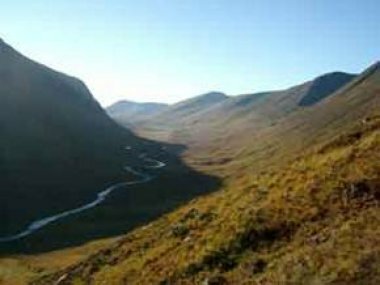 Glenuaig Lodge is situated in the remote Glenuaig and is reached by hill road. 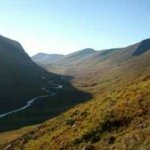 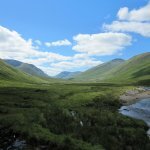 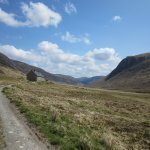 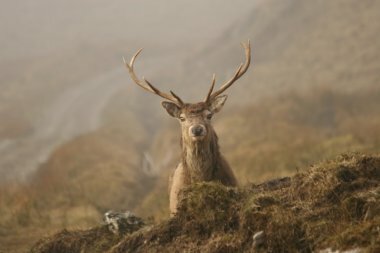 Although there are the ruins of two much older cottages in the glen, Glenuaig Lodge is the only property in an area of some 30 square kilometres of wilderness. 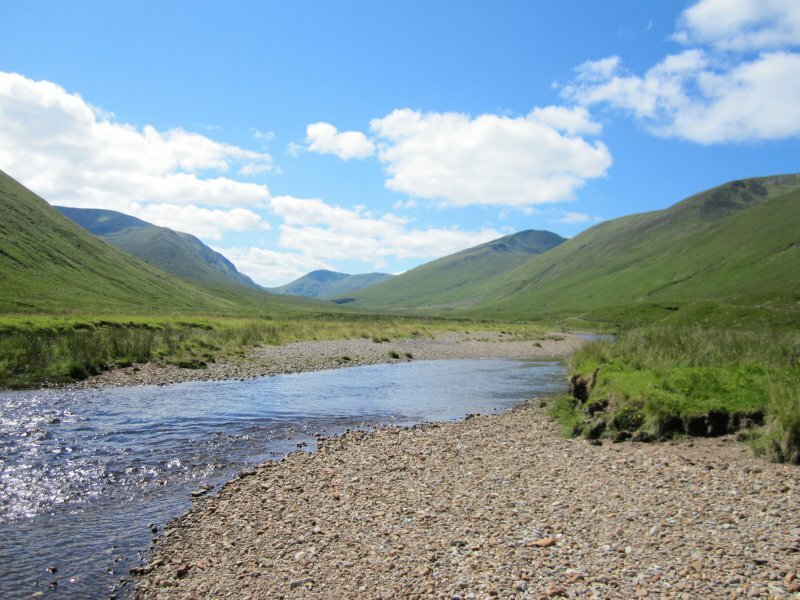 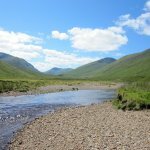 The beautiful River Meig rises some three hundred metres from the Lodge and tumbles for four miles to the bottom of the glen. 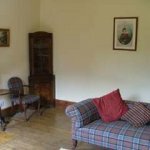 The unassuming stone exterior blends in with the surrounding Munros but hides a stunning interior beautifully designed to be in sympathy with its origins and location and fully equipped for total comfort. 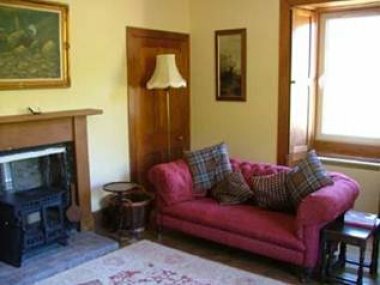 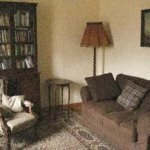 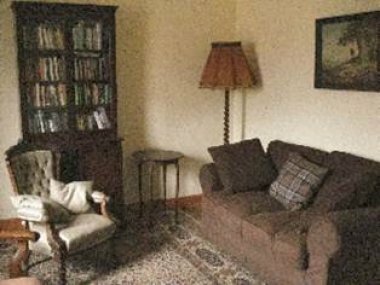 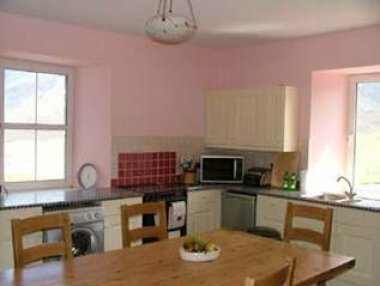 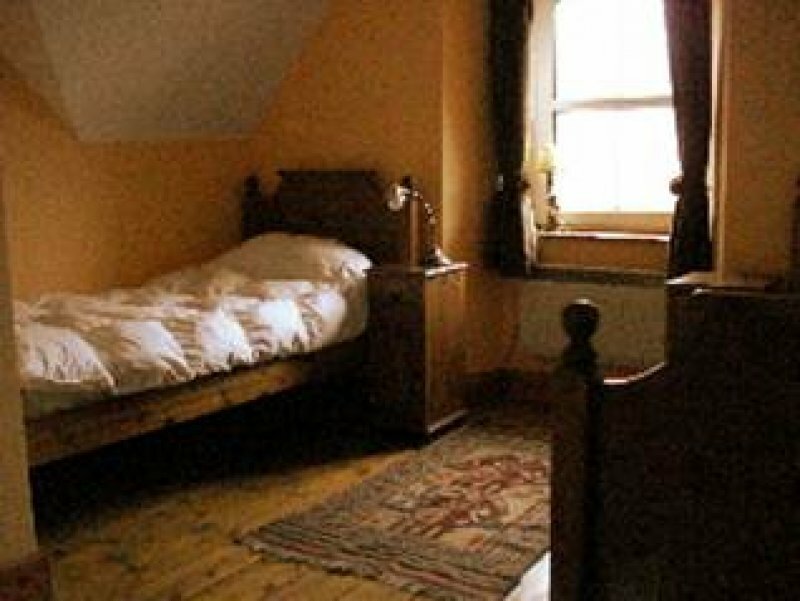 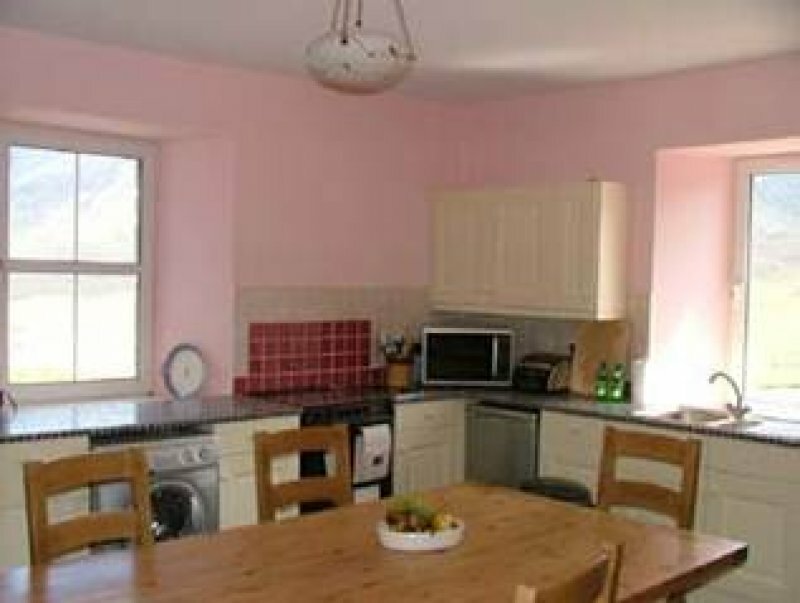 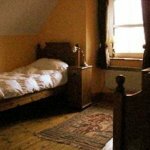 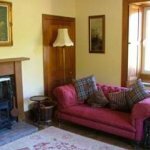 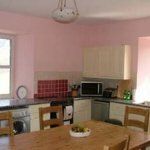 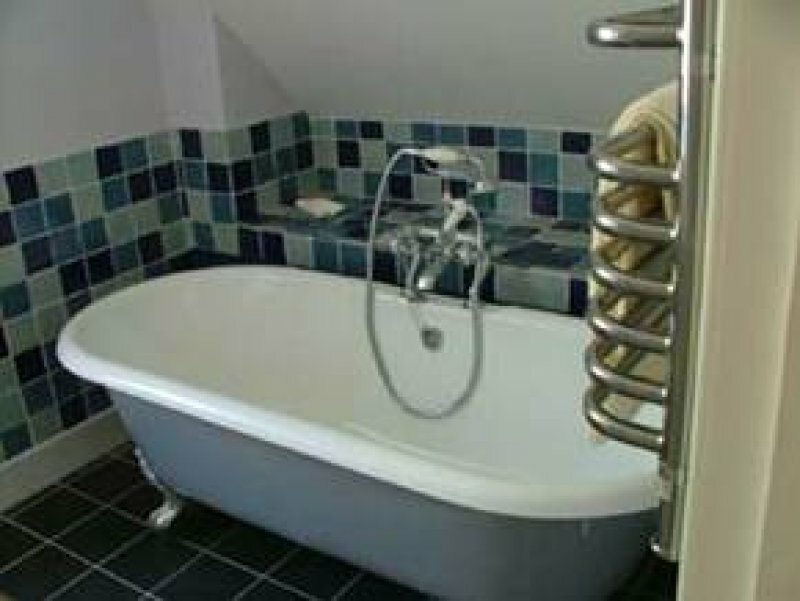 Whilst Glenuaig Lodge looks like a 'wee' cottage, it is a large four bedroom house with three reception rooms, a large modern kitchen and 2 bath/shower rooms. 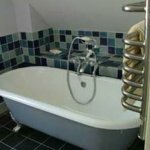 The Lodge is powered by a micro hydro turbine and there is electric heating throughout, washing machine, tumble dryer, gas and electric ovens and hotplates, microwave, fridge and freezer, dishwasher, satellite TV and DVD. 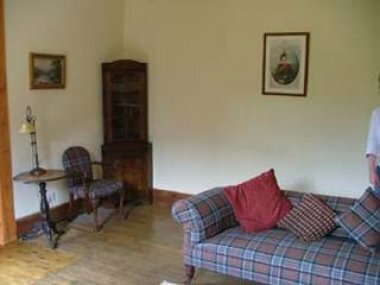 The Lodge was originally built in the late 1870s for Victorian gentlemen and their servants to lodge whilst stalking on the remote hills of the Estate, long before the advent of 4x4s. 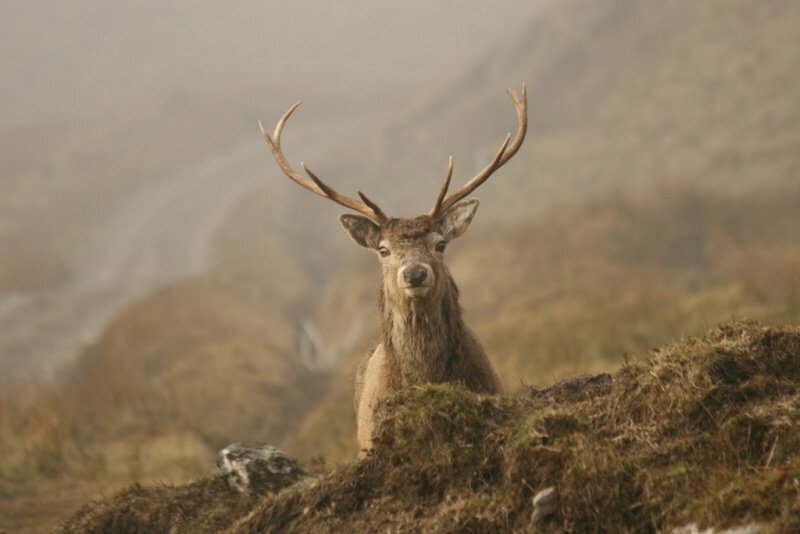 In few places will you feel so at peace with the natural world. 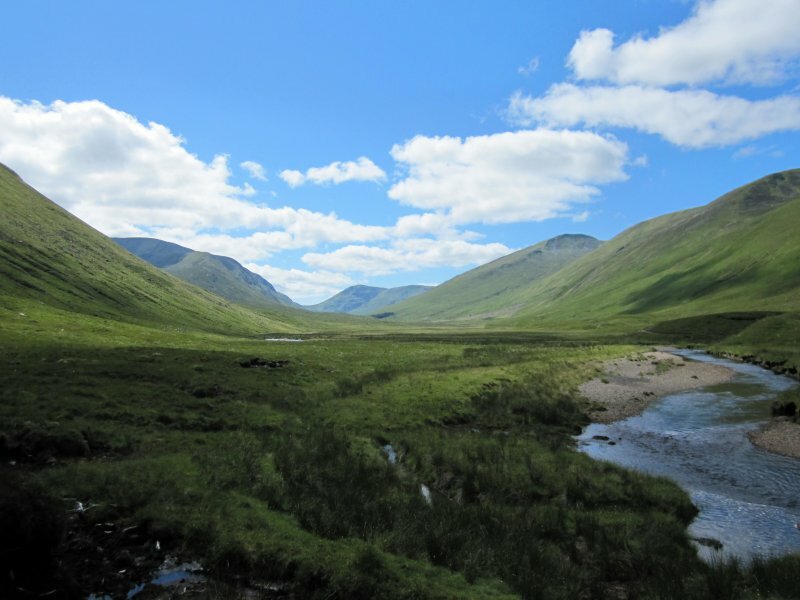 A 4x4 is essential to go into Glenuaig. 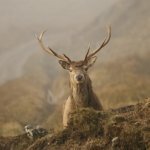 Local hire available.